The Judge – The first The Judge poster puts Robert Downey Jr. in a precarious position, as he’s forced to defend his father (Robert Duvall)—a judge—in the court of law. The film marks director David Dobkin’s first foray into drama and I’m curious to see how it comes together when I catch its world premiere at the Toronto International Film Festival next week. The tagline is…interesting. The pic opens in theaters on October 10th. 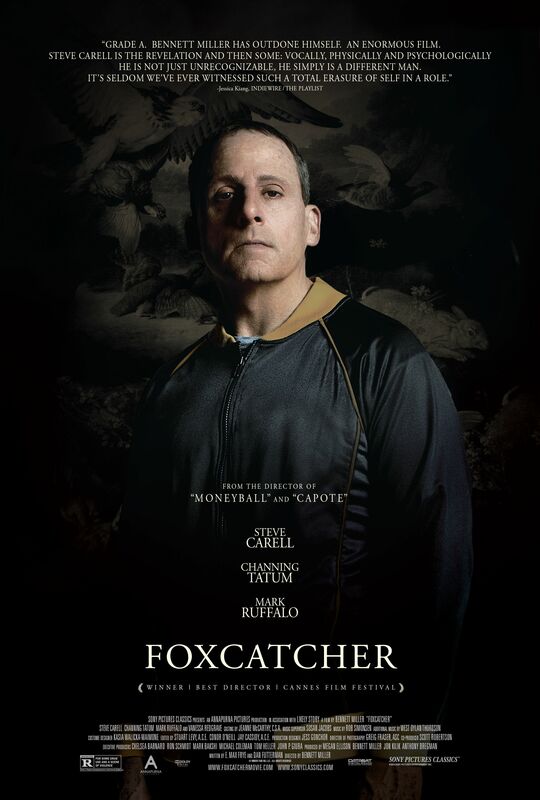 Foxcatcher – The previous poster for Bennett Miller’s highly anticipated drama focused on Channing Tatum’s Olympic wrestler character, but this new poster is all about the transformed Steve Carell as eccentric millionaire John du Pont. This is another film that will be screening at TIFF before its theatrical bow on November 14th. 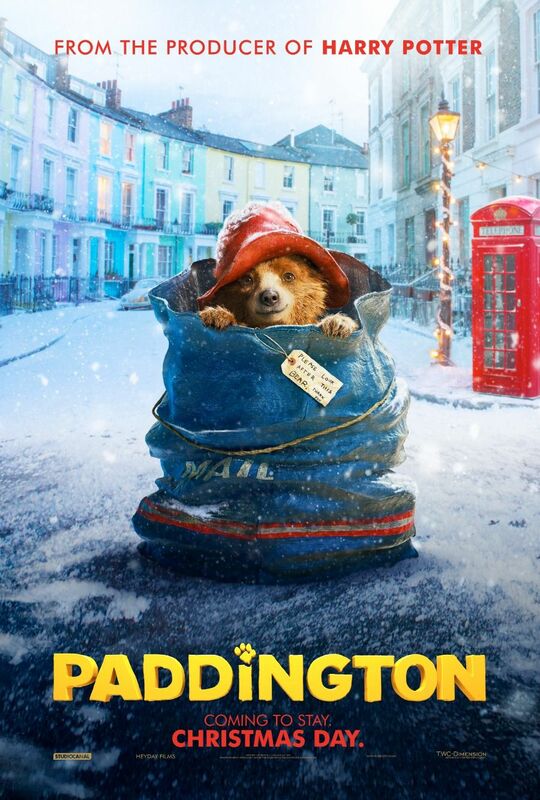 Paddington – A new poster for the live-action/CG animation hybrid family adventure puts the adorable titular bear front and center while also highlighting the film’s holiday release date. Starring Nicole Kidman and Hugh Bonneville with the voice of Ben Whishaw as Paddington, the pic opens in theaters on Christmas Day. 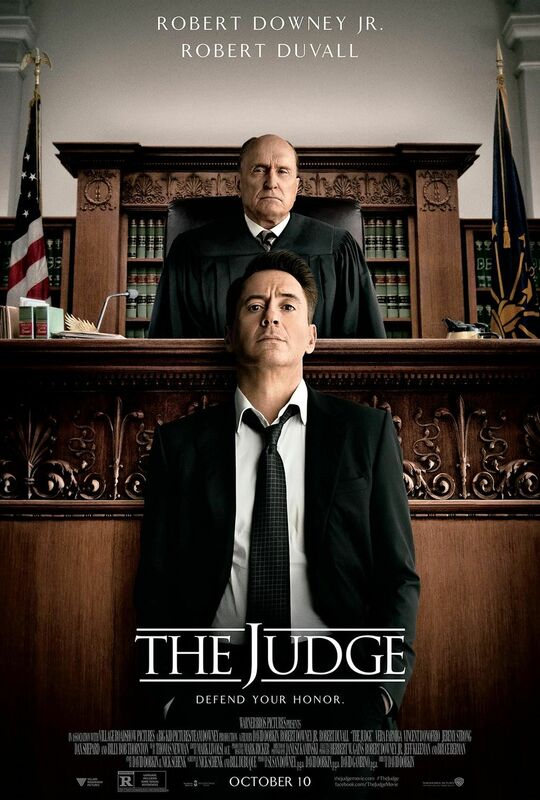 Hit the jump to check out posters and synopses for the aforementioned films. Via Robert Downey Jr.’s Twitter.